Your wedding is a truly special time and we, here at Lyme Bay Field Kitchen, understand that no 2 weddings are the same. Lyme Bay Field Kitchen specifically tailors all food and drink to fit your requirements, dreams and desires. Lyme Bay Field Kitchen offers a professional, affordable and flexible service to help you make your dreams a reality. You can concentrate on your big day and guests, leaving us to take care of all the finer details like the first glass of champagne to the final piece of cake. 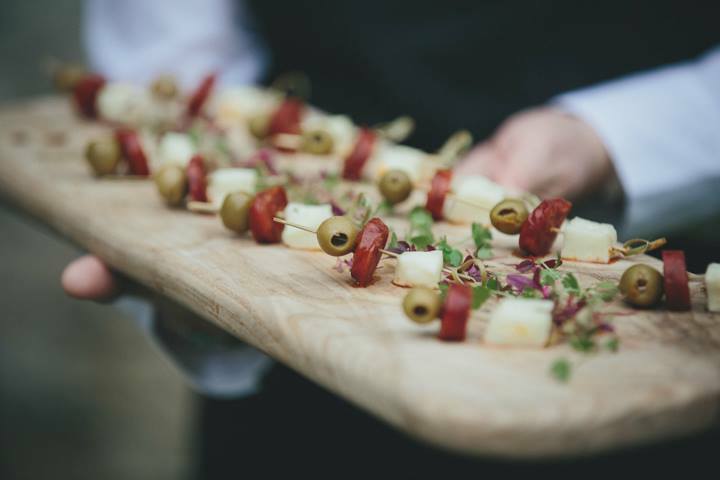 With a proven track record in Wedding Catering in Somerset, Lyme Bay Field Kitchen promise to deliver fantastic food exactly how you want it. Using only the finest ingredients, sourced locally from our kitchen in Colyton, we can create bespoke menus tailored to your taste and budget preferences. Lyme Bay Field Kitchen are able to cater for any sized party. From small intimate groups of of 20 to larger groups of 200 or more, we will take the same care & attention to detail so as to ensure a relaxing & successful day not only for you but also your guests.